This is excerpt and resource from The Fundraising Genius Masterclass. re: charity readers (you!) get 60% off the class. You can learn more and signup here. Let’s break them down a bit more, one by one. Our brains are wired for stories. We’ve used them for centuries to build trust, to engage with one another, and shape our histories. And they play the exact same role in fundraising, helping you to distill the wide-ranging work of your organization into its essence, as embodied in a moving story. Rather than thinking about all of the information you want to communicate, storytelling requires you to focus only on the details that are most important. Copywriting is the exact same. By spending time digging into the details of the story you want to tell, you can be sure to find the pieces that will resonate most strongly with your donors, and fit them into a story arc that stirs emotion, builds connection, and moves a person to believe in the work you’re doing to an extent that numbers and bullet points never could. It’s us against the world! At least it feels that way sometimes, right? We look at our organizations as underdogs in the fight to solve persistent challenges facing our communities and our world. And while this can be an incredibly empowering perspective to take, it’s important to also understand the benefit to your organization of leveraging social proof. In essence, what this means is that you help establish your legitimacy, impact, and potential by presenting your connection to established and well-respected funders, brands, and individuals. By saying “These great organizations are behind us”, what you’re really saying is “The choice is obvious: You too should support us.” So be sure to incorporate logos and testimonials from the strongest supporters you can, in order to overcome any reluctance future donors might have in deciding whether or not to give to you. Specificity can be an enormous differentiator for your organization because it is so incredibly rare in fundraising. Of course, it’s with good reason that most writing is vague. It takes much more effort, and involves somewhat more risk, to be precise. You have to confirm the numbers really are accurate. And you have to have faith that accurate numbers will be compelling in a donor’s mind. But here’s the upside of being specific: donors trust you more, specifics that break from the norm (such as, “Our average gift size is $27” vs. “Our average gift size is $25”) are more noticeable and memorable, and you demonstrate a level of honesty that donors project onto the rest of the work you do as well. So think about moving beyond the standard gift request amounts, or reporting generalized outcome numbers. It’s a little more work, but the specificity will carry a value that benefits your fundraising and beyond. For all of the advancements in evaluation and social impact and data analysis, the truth is that the giving experience is still an emotional one. The numbers can bolster your case for giving, and they can play an important role in establishing trust, but a successful campaign must target donors’ emotions. You need to stir up the right emotions and then guide your donors to a state of enthusiasm and readiness for backing your work. Whether it’s pride (which often works well at universities) or compassion (which often works well in nonprofits) or frustration (which often works well in politics) or any other more nuanced and important emotion you want to initiate, do what it takes. Write to your key emotion so strongly that even a neutral observer might be moved. Because if you can do that, you should have no trouble recreating that emotional state in your donors, and getting them to give to you again. If you think about it, your donors are getting pitched on things all day everyday. All of us are. And most of the time those pitches are clearly off-base; we feel know affinity for them and feel like whoever is behind them doesn’t actually understand us. This is a huge issue in fundraising as well. One of donors’ biggest complaints is that everybody is claiming to be the best and everybody is too eagerly pitching them. Of course, the cynical response is to think that donors are unnecessarily petty or fickle. But if we’re being empathetic and truly listening to what they are saying, the issue is really that they are interested in giving but don’t feel like organizations are truly speaking to them. Donors don’t think organizations are taking the time to understand them because most of the time we aren’t. To solve this, one of the best things you can do is to start by calling out the problem directly at the very beginning of your writing. Be bold about it and let them know you get it. If you do this right, writing the rest of your website or appeal will be a breeze because you’ll have gained their affection right from the start, by understanding the issue from their eyes. Copywriting is about clarity. And short sentences give your donors the ability to clearly, and easily, follow your writing to its conclusion: a strong ask. Somewhat ironically, we tend to rely on longer sentences when we’re in a hurry. Rather than focus only on what’s most important, we write in an all-encompassing manner, as if our goal is to check all of the boxes instead of be clear and compelling. Mix things up, though, of course. But just recognize that if your appeals aren’t strong in their current state, a focus on refining and simplifying your sentence structure never hurt anyone. You are always in need of more money, right? So the urgency is there and, typically, the donors realize this to be the case. But here’s where a lot of people struggle in fundraising: they jump straight to the urgency without building up to it. This renders it almost useless. You want to hook your donors on the issue immediately then guide them into realizing why it’s critical that you do solve it as soon as possible. Like romantic tension or a beat on a song, it’s in the building up that makes the moment more meaningful. The same goes for fundraising. You and the donor both know where you’re going (ie. the ask), but only you have the power to craft that journey in a way that draws them in and builds up the feelings of urgency before your end goal. Show a little patience and comfort with the build up–rather than jumping to it–and your donors will reward you. Used correctly, testimonials are the jackpot of copywriting. Working with your supporters, testimonials are actually the ideal place to utilize a number of these valuable copywriting secrets. For instance, by their very nature, testimonials capitalize on social proof. But you can also make sure they alleviate the concerns you’ve learned some donors have before giving, utilize specifics to increase trustworthiness, target a donor’s emotions, and help make the case for the urgency of the issue at-hand. Plus, you can incorporate quality design by including a headshot of the person which also helps ease donor’s minds. In addition to these specific recommendations for how to get the most leverage out of your testimonials, it’s important to simply remember that you can work with your supporters to guide and craft the type of testimonial you want. Organizations that leave the writing of testimonials solely up to others are often left with ones that reflect the poor copywriting approaches we’re discussing, such as being too vague, not alleviating a person’s concerns, and failing to use emotions appropriately. So work with your supporters to craft the type of testimonial you need. Most people will actually really appreciate the guidance, and you’ll appreciate having a testimonial that’s actually worth using. As donors scan down the left side of your appeals after reading the very beginning, their eyes are looking for sentences that capture their attention. Beginning sentences with the word You is an excellent way to do this, especially when you make the sentences short and strong. Plus, by using you more often in your writing, it forces you to remember that you’re writing directly to a single person. Indeed, one of the fastest ways to improve your writing is to find places where you’re writing generally (e.g. using phrases like “Our donors”) and rewriting your sentences so that you can incorporate the word you. In every sector, in every field, in every industry, a cornerstone piece of copywriting advice is to reflect the needs, wants, and desires of your target population. In other words, listen closely to how they describe why they love your organization, how they think about the issues you’re working on, what’s attractive about your solutions, etc. Then be intentional about incorporating this language into your copywriting so that it connects more strongly with your donors. Not only will it help you form stronger, longer lasting relationships, but this fine-tuned understanding will also aide you in finding your future donors as well. In other words, you’ll know who to look for and how to talk to them, which is a fundraising goldmine. There’s no question our world is becoming increasingly visual. As many newspapers have found out the hard way, words alone will only get you so far (even great ones!). You must pair them with quality design. Neither side–words or design–can stand alone and achieve what you need them to without the other. And, in fact, as you learn more and more about what your donors respond to best, you’ll find that those insights will actually drive improvements to both your copy and your designs. So think about how your donors are used to reading and processing information, and do your best to provide your content and appeals in a way that plays to their expectations. There’s nothing charming about an out-of-date website or an ugly appeal letter or a poorly worded fundraising email. Your job is to understand how to leverage copy and design to raise as much money from your donors as possible. An useful exercise is to scan through your writing, especially your fundraising appeals, and take note of how often you use questions in your writing. Is it a lot? A little? Not at all? And perhaps most importantly, to what end are you using them? The ability to use questions in your copywriting does not typically come naturally. However, your ability to appropriately incorporate questions, especially leading questions, can take your appeals to the next level. Think about using them to guide a person to give right after you’ve laid out a challenging issue you’re working on. Or use questions to break up your text and keep your donors interested and reading. Questions help donors to take pause with what they just read, and then to focus their attention on supporting your cause. Your timing and phrasing of questions might be a little rough at first, but keep working on it–the long-term payoff is well worth any initial awkwardness. Editing is a beast. A powerful, all-important, essential beast. We all get lucky sometimes, and amazing copy comes out the very first time. But the vast majority of the time, it’s only through editing and multiple iterations that we’re really able to find the words that work best. Every writer–from fiction to fundraising–has to accept this eventually. And just like a therapist would say, “the sooner you accept this, the sooner you can move forward.” By now, you know how incredibly important copywriting is to your fundraising, so why rush it? Start drafting your appeals well in advance, gain feedback on them, and give yourself enough time to make multiple rounds of edits before you need to go live with them. It makes all the difference in the world. Microcopy are the small bits of writing that actually play an outsized role in determining whether or not a donor trusts, believes in, and is ultimately compelled to financially support your organization. It’s the little things like the words you use on and around your donate button. For instance, think about the difference even between Pay Now or Make a Difference. One feels transactional and one feels meaningful. The biggest mistake fundraisers make with microcopy is that it’s just too often overlooked. But it’s really worth noticing and considering what you’re saying with these small but essential words from your donors’ perspectives. In subtle, often subconscious ways, you can either turn them off from giving or turn them on. Perhaps the most important trap to avoid falling into in your writing is focusing too much on your programs rather than on the overall impact you’re making. You can think about it like this: if you were selling toothpaste, you would want to focus on the fact that your toothpaste makes people’s teeth whiter rather than the fact that it is creamy. In your work, that means writing about the outcomes rather than the outputs. You want to highlight the actual benefit you’re providing (ie. changed lives rather than programmatic details). Once your donors believe the impact, then they’ll be interested in knowing how you make such a difference. The best copywriting moves a person from beginning to end almost without the reader even realizing how it’s happening. This makes it tempting to think of your writing linearly, but there’s actually a very subtle psychological trick people use to keep donors reading. It’s called open loops, and it’s designed to hint at something great that the reader will experience if they just read a little further. Excited to reach that point, they keep reading towards your call-to-action. Open loops are especially effective because they build up your donors’ interest to higher and higher levels. By holding off slightly on giving them the solution they are looking for (e.g. donating to solve a cause), you can effectively increase their readiness to give once they reach your call-to-action. It’s an incredibly powerful approach. There are two types of “we”. One that includes the reader, and one that excludes them. The inclusive one would bring the donor into the movement and impact your organization is making: “Together, we were able to get city council to fund 16 new green bus shelters.” On the other hand, the exclusive one makes the reader feel separate from the work you’re doing, which is the opposite of what you want. At its core, using an inclusive we is one of the best ways to get your donors to feel like they are part of something much bigger than themselves, and integral to its continued success, which is a great state of mind to have your donors in. Along with doing as much research into your donors as you reasonably can, perhaps nothing is more important than testing what copy they respond to best. In order to do this, you need to create test opportunities–they won’t happen on their own. With an increasing amount of giving taking place online, it has never been easier to test what works. For free or low-cost, you can test your copy by setting up different landing pages, using different pop-ups, trying out different words in ads, and more. Nothing is worse than guessing what your donors want–use testing to learn as quickly as possible in small ways, so your big asks are as successful as possible. We don’t read like we used to. And, at this point, our attention spans are incredibly short. So don’t bury your best stuff halfway into an appeal or even at the end–give it to us upfront where the most people will actually see it. Donor reading behavior looks like an ‘F’, where we read the very beginning then scan down the left for pieces that grab our attention, then move to your call-to-action or P.S. statement. 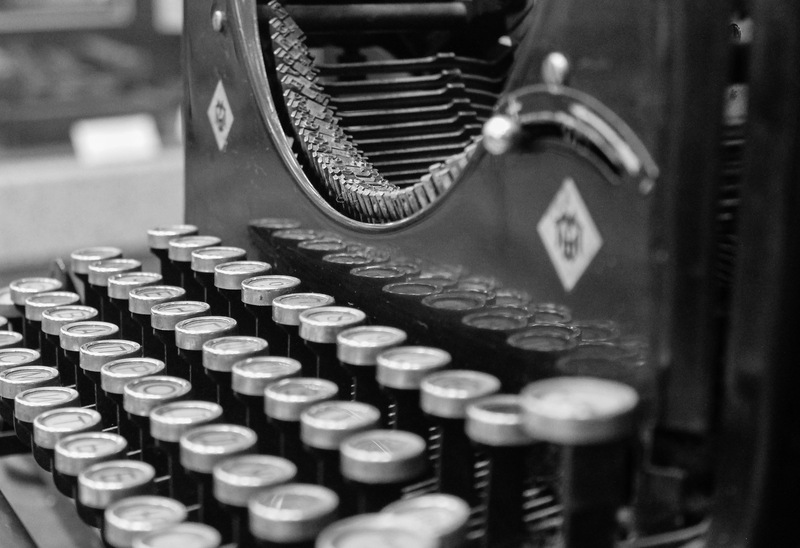 Rather than attempt to change your donors’ reading habits–a losing battle–write in a way that capitalizes on it by putting your most compelling piece at the beginning and grabbing us from the start, when you have the best shot. One of the most important things to understand about copywriting is that it’s purpose is to move a person towards an action. You aren’t just trying to “write strong copy” for its own sake or something. In fundraising, you are using your words to drive a person to donate. And in order to succeed in that goal, you have to move them to a very clear call-to-action. Your donors have to know what they need to do next to give. And that means using buttons that stand out from your text and are placed right at the point where a donor has felt the issue you’re solving, recognized the urgency in solving it, and is ready to make a difference. Insert your call-to-action right at that point for maximum effectiveness. As your audience grows and grows each year, it’s natural to begin writing in a more general way. So one of your strongest tactics is to write to one single reader, and focus on writing so that they would be compelled to give. It could be helpful for you to develop donor personalities, with the attitudes, beliefs, wealth, lifestyle, etc. of your key donor types. These allow you to better tap into the mindset of your donors while writing, as well as give you a framework with which to assess whether each of those key donor types will respond to your writing in its current state. Your first sentence is critical. If it doesn’t grab your donors on a visceral level (which comes from doing the write research beforehand), then I can guarantee you you’re leaving money on the table. Try coming up with something that’s crisp, that speaks directly to an issue your donors care about, and make it memorable. You want them on your side from the very first sentence. Donors all too used to being asked for usual donation amounts ($25, $50, $100, etc.). This creates an important opportunity for you to reframe your gift requests in a smarter way. For instance, rather than a one-time $50 donation, you could ask for a donor to give “a small $5 weekly gift”. Not only does this sound and feel much more doable to a donor–smaller amounts naturally feel less daunting–but over the course of a year that donor would end up giving $250+, more than 5x a more risky $50 ask. We all want to feel smart, but your copywriting is not the place. First of all, that’s because your copywriting isn’t about you. And secondly, the goal of writing great copy is not that it impresses anybody, but that it moves people to support you. In order to do that, you have to find a comfortable take on professionalism that works for your donors. While you surely want to avoid being too casual, you also need to be careful not to write too stiffly. This is easiest once you understand your donors really well. At its core, though, it shouldn’t feel like work for a donor to make it through your website or your appeal. It should happen naturally and comfortably. And if it doesn’t, there’s a good chance you’re trying too hard to impress them and need to simplify things a bit. These 25 secrets give you a really solid foundation to work from in terms of really taking your copywriting to the next level. Understanding and using these will put you ahead of so many of your fundraising peers, who have to really just take their best guess at how to write effectively for fundraising. And, in all honesty, great copywriters make a lot of money because they are so hard to come by and the upside of their effectiveness can be so significant for an institution. But even with these 25 ways to write much better copy, there are still hundreds of other secrets out there to learn. We can always learn to write better, and a willingness to write and edit regularly, learn new methods, and test what you’re doing is the ultimate secret to fundraising more effectively with great copywriting. Want To Be A Better Writer? Here Are 4 Free Tools For You. Get the blueprint, and resources, you need to fundraise like a genius! 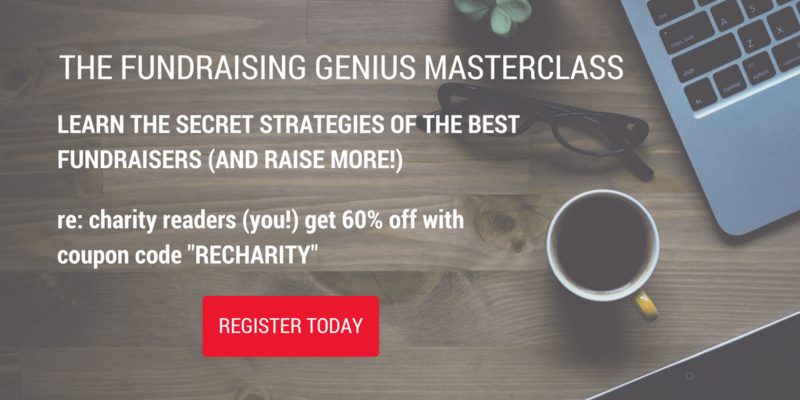 The Fundraising Genius Masterclass is an online course designed for fundraisers who are ready to accelerate their growth. re: charity readers get 60% off so you can access a bunch of great content, online and on-demand, for under $100. Learn more and register today! Kyle Crawford is the CEO of Fundraising Genius. Previously, he founded the global social innovation community Dwilly.